We all know the story of Anne Frank, thanks to the diary she kept, published by her father. Less attention is typically paid to Anne’s older sister, Margot, although we know that she, like her sister, died before the end of the war. But what if Margot survived? 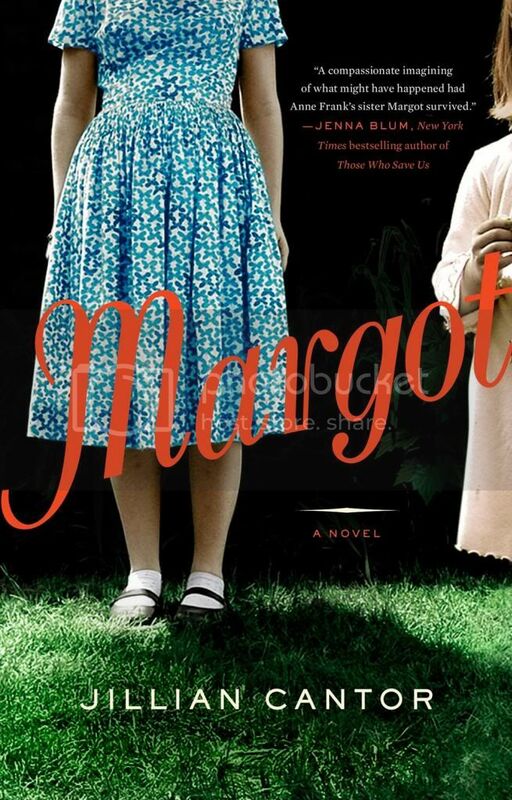 In Jillian Cantor’s Margot, Margo Frank is, indeed, still alive and living in Philadelphia after the war. She no longer goes by Margot, though. Now she is Margie Franklin, a Gentile who works in a Jewish law firm and refuses to ever remove her sweater, even in the heat of summer. Margie believes she is relatively comfortable in her life, but in 1959, the film version of The Diary of Anne Frank is in theaters and everyone Margie knows is seeing the movie and wants to discuss it, bringing up memories that Margie has worked so hard to bury. Margot is an incredibly engaging read. At its core, it is a story of identity, of the ways you can and cannot change who you really are. What most concerned me, going into the book, was how Cantor would find a plausible way to get Margot to Philadelphia and even more so to make her deny her past, but the character motivations make sense, and even Margot’s survival contains echoes of the stories of other Holocaust survivors. What ended up being the best part about Margot, though, were the ways in which Margie’s circumstances challenged her to reexamine the life she lived Before, as well as the decisions she had made after coming to America. Margot is a really lovely book, well-written and with real heart. Highly recommended. One might think that a young Jewish girl growing up during WWII in New York would, if anything, feel a strong kinship to her Jewish roots. Logic seems to suggest that the intense suffering of one’s people might make one more determined than ever to hold onto faith and cultural identity. Such was not the case, however, with Margaret (Peggy) Marcus. From an early age, Peggy was obsessed with the idea of Arab peoples and Islam. For her, the creation of the nation of Israel was an equal injustice to the people of Palestine as anything the Jews had ever suffered, the repeated lauding of Zionism by those around her was endlessly disturbing to her and, in the end, caused her to renounce her religious and cultural heritage. Before long, Peggy turned to Islam and became Maryam Jameelah, moved to Pakistan, and began producing copious writings against the tyranny of materialism and lack of spiritualism in the West. It is this transformation that Baker attempts to address in The Convert: A Tale of Islam and Extremism. I say that Baker attempts to address this transformation, because I question the effectiveness of her approach. The storytelling was very nonlinear – from Maryam’s trip to Pakistan, to the extensive history of the man who would serve as her guardian, back to her childhood, and then through her early years in Pakistan. It seemed that this flow may have followed Baker’s own discovery of Maryam’s story, but that is not completely obvious. If it was Baker’s plan for The Convert to have a feel similar to the discovery journey approach of The Immortal Life of Henrietta Lacks, she needed to insert herself farther into the story, and give the reader a better idea of her background and biases; if it was her plan to write a more objective tale, she needed to be much less in the story. Baker directs at Maryam what can only be described as a rant at the end of Chapter 8, a moment that seemed very much out of place with the rest of the book. The Convert is the type of book that really requires the reader to have the full story on the author. At the very end, in Baker’s note on methodology, it becomes apparent that many of the letters presented in a straightforward manner throughout the book were actually edited, and even rewritten, events moved from one letter to another, by Baker, in an attempt to make her story flow more smoothly and make more sense. She does succeed in making roughly the middle third of the book, comprised primarily of Maryam’s letters, flow very nicely, but at what cost? Without any idea about Baker’s biases and motivation, this is very problematic, as the reader is left without any idea to what extent letters were changed and to what purpose. It is hard to know how far to trust Baker, especially in light of the aforementioned rant. The idea behind The Convert is a fascinating one: what makes a young woman of privilege drastically change her life and travel to what would to her be a very foreign country and rail against her native land? Sadly, the execution just was not there. 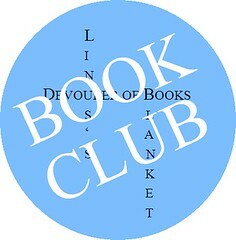 Source: Publisher, for Book Club – discussion today. The Karps are not a particularly religious family, nor are they particularly interested in their Jewish heritage. Influence and money are really bigger motivators in their lives. That is why it is a bit surprising when their son Bernie discovers an old man in their meat locker and learns that he is a rabbi who was overcome by an ice storm while praying and has been protected by the family for years. Not long after that, the power goes out and the rabbi is suddenly thawed. From here the story splits into a dual time period narrative, following Bernie’s ancestors from the time they took possession of the icy holy man up nearly through the present day, and examining the antics of the newly released rabbi, who gets himself into quite a lot of trouble. I am very much of two minds about “The Frozen Rabbi.” The premise, certainly, is fascinating. I also loved most of the historical timeline. By following the lives and trials of the family sheltering their frozen mystic, readers got a good glimpse of the lives of Jews in small European towns over the last 150 years or so. The family was forced to move from place to place due to pogroms and general hatred, eventually leaving for America before the horrors of World War II. On the other hand, I simply could not connect with the modern storyline. Initially the idea that the rabbi turned worldly and very much like Bernie’s father, while Bernie was inspired by the rabbi’s existence to learn about his heritage and become very spiritual was intriguing. However, the constant repetition of Bernie’s spirit floating away from his body and the rabbi being SHOCKING! got old quickly, and it felt that, for a long time, not much plot was advanced. “The Frozen Rabbi” is quirky and funny and interesting, but really just wasn’t for me – as evidenced by the fact I had no problem putting it down for 2 weeks with only 80 pages left. Still, it was well-written and if the premise intrigues you, it might just be worth a read.